Six lucky New York City taxi cab drivers have the chance to be part of a new green transportation pilot program. In collaboration with the New York City Taxi & Limousine Commission, six drivers will be given a Nissan Leaf EV for a year! The taxis will run regular business for a year, and compile important data comparing the Nissan Leaf’s performance to traditional taxi cabs. Nissan and the NYC Taxi & Limousine Commission are offering a free lease for the six Nissan Leaf EVs for an entire year. Leaf taxis will operate on regular routes, offering regular service for the same cost. The drivers will then compare their running costs to their fares. 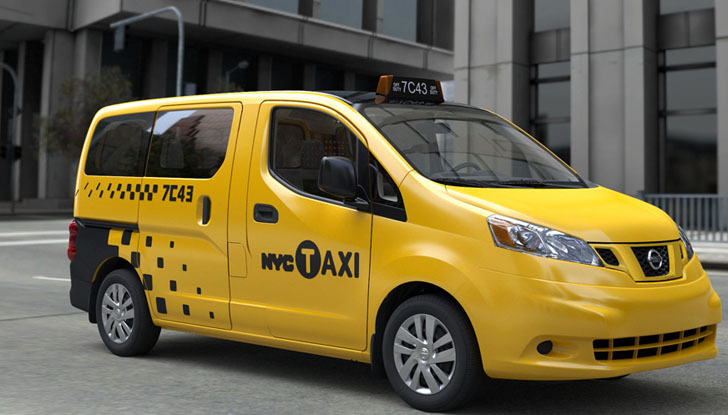 The New York City Taxi & Limousine Commission will then compare that data to the fuel and maintenance costs of running a gas-fueled cab over the course of the year. Hopefully, taxi drivers will find that running green vehicles in New York’s busy streets is an efficient and low cost way to run their fares. The Commission and Nissan also hope to show New York passengers that electric vehicles are a realistic transportation option. Nissan Leaf EV Taxi hopefuls have until November 30th to apply online. Testers will be chosen lottery style. This is a great step forward in reducing emissions. How will these leafs be charged? Taxi's can't afford the charging down time.I like the company Better Place's solution of swapping your depleted battery for a fresh battery, this basically gives the taxi unlimited range. Six lucky New York City taxi cab drivers have the chance to be part of a new green transportation pilot program. In collaboration with the New York City Taxi & Limousine Commission, six drivers will be given a Nissan Leaf EV for a year! The taxis will run regular business for a year, and compile important data comparing the Nissan Leaf's performance to traditional taxi cabs.